It’s our 5th annual Bake Off, and this year we’re planning an amazing Easter themed event! 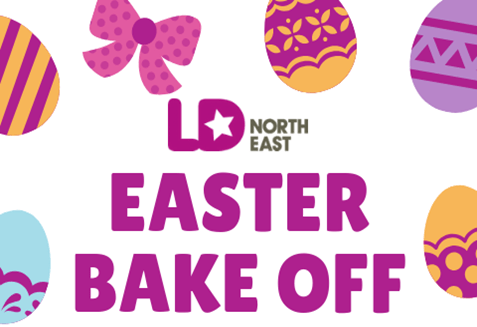 Why not enter your Easter themed ‘showstopper’ in to our competition for the chance to be crowned LD:NorthEast ‘Bake Off Champion 2019’. Entry to the event includes a hot drink and a slice of cake (under 5’s are free). Entry to the competition is an additional £3.00. Please contact us on 0191 2622261 or at lisa.wild@ldne.org.uk to enter. The event will also include live entertainment, face painting, games stalls, bottle stall, tombola and much more!